Through both experiential education and social programming, we foster growth in the Jewish community and lasting friendships. Participating in a youth group is one of the key indicators of an active Jewish life through adulthood. The Youth Community at North Suburban Synagogue Beth El is known as “BEANS” — Beth El At North Suburban Synagogue. We run four youth groups for children in grades K-12, as well as our Beth El Sisterhood College Connection program. Our goals are to help educate youth about Judaism and individual Jewish identity in an informal environment. 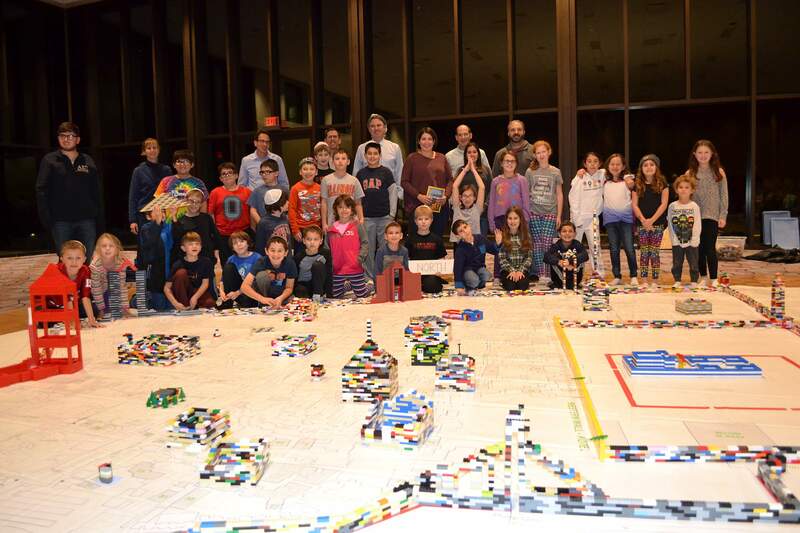 We run events and programming in our dedicated space, the Horwitz Hoffman Youth Lounge, as well as throughout the synagogue building and all around the Chicagoland area. If you are interested in becoming a member. attending future programs, or have any questions regarding the Youth Community, please contact Marah Altenberg, maltenberg@nssbethel.org for more information. M&M Club is a great introduction into the youth group experience in BEANS! Our goal is to make sure we have great family programming as well as age-appropriate holiday activities and general youth group fun! Past initiatives include in home travelling skits like Chametz Inspector and The MaccaBEANS and Torah Illustrating Parties. Shalom Club is our youth group for kids in grades 2-5 and include programming such as Day Off programs, the Chocolate Seder, special Shabbat lunches and much more. Kadima is our youth group for kids in grades 6-8. In addition to our local chapter, Kadima is an international organization affiliated with our region, CHUSY, and the youth programs of the Conservative movement. BEANS USY is our youth group for kids in grades 9-12. In addition to our local chapter, United Synagogue Youth is an international organization affiliated with our region, CHUSY, and the youth programs of the Conservative movement. Programs are planned by a board of USYers with the help of our dedicated staff. BEANS USY is an active, award-winning chapter whose commitment to social activism, tzedakah, and Jewish engagement as well as building a peer community is supported generously by the Barbara P. Hochberg USY Fund. To guarantee you are on the mailing list for Youth Community events and don’t miss out on a minute of fun, please contact Marah Altenberg, Youth Community Director, at maltenberg@nssbethel.org Check out our Facebook Page to stay updated on all of our programs here!